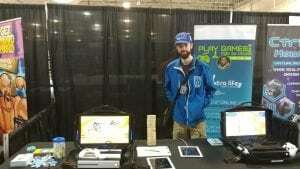 NJ Guild Attends A Video Game Con! 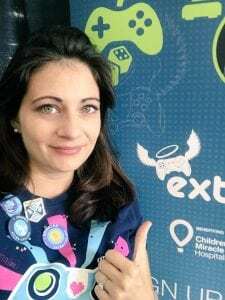 The New Jersey Extra Life Guild attended this weekend’s A Video Game Con at the Meadowlands Expo Center to recruit more Extra Life gamers for Children’s Specialized Hospital! We had a great turn out and we welcome all of our new gamers! A big THANK YOU to guild members Anthony, Eric and David for volunteering their time to help spread the word about Extra Life! You can join too for our big gaming marathon on November 3rd. Play any game, any where and help fundraise for our kids at Children’s Specialized Hospital. Register today at www.extra-life.org! Previous post: Walmart and Sam’s Club Fundraising Starts Today! Next post: Northern Elite Gymnastics and Cheer raise funds for Children’s Specialized Hospital with Laurie Hernandez!